I purposely avoided posting this mathly-named beer yesterday, what many people that can't even use a calculator were calling "Pi Day". Yes, 3/14 for the 3.14, simple as that. I mean, I guess it is a famous number and all, but I'd gladly challenge many of the jokesters to explain why and what it's used for! Oh, and it's also my wife's birthday, every year, but this year was #40! Today I'm drinking Rye Squared Imperial Pale Ale brewed by Terrapin Beer Company in Athens, Georgia. Since the last time I drank and reviewed this beer was April, 2009, I don't really consider this a repeat. After all, the bottle even says this is Vintage 2011! As I mentioned, the label has a running math and school and education theme, from the wild, white-haired turtle chem professor to the "twice the malt, twice the hops and twice the flavor" story to the "IT'S ELEMENTARY" statement. Oh, and of course the Squared name. Finally, the label makes sure you know this is part of their Monster Beer Tour. Oh, and finally, finally, the turtle on the bottle cap is cool! Rye bread aroma, spicy, and with orange citrus. A little giant, malty sweet, syrupy profile up front. Some serious carnival flavors in this one: cotton candy and Bubblicious everywhere, and they are actually a little much. Characteristic rye flavors come next with spicy black pepper fighting desperately against the initial sweetness. In the end, any spice or bitterness loses a bloody battle. Actually, it's more like a surrender. The 8.5% alcohol is the one saving grace, doing a decent job cutting up the thick, chewy consistency, at least a little. Now I love my rye beers, but this one was just too sweet all around. It did have nice flavors but has a couple of annoyances to overcome. I enjoy the (over)sweetness of this beer. Even though it is that sweet, i feel the rye shows through well. I think you nailed this review! We must have similar palates. 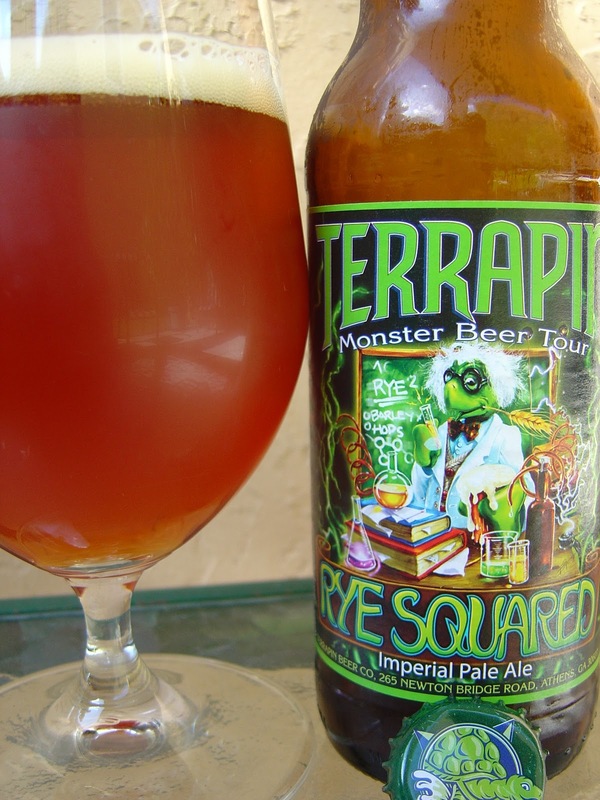 I really like Terrapin and I'm a big fan of the Rye Pale Ale, but this one is two sweet and over the top for me. I definitely understand why people like this beer a lot. It has really nice flavors. I just personally wanted a little more balance. 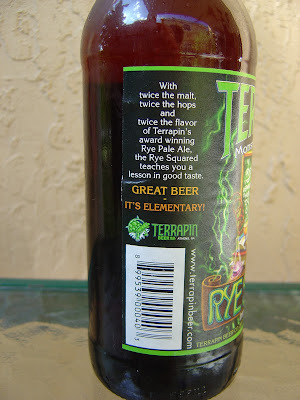 When I first had Rye2, I LOVED it. However, it was on tap at the local pizza joint. When I purchased it in the bottle, for some reason, the sweetness was more "in your face." That said, I don't know that I would by it in the bottle again, but would def drink draft again. Hey bunny. Could have seemed like that b/c you were eating too? Not sure. Could be...maybe it's a "drink with pizza/food beer" only!